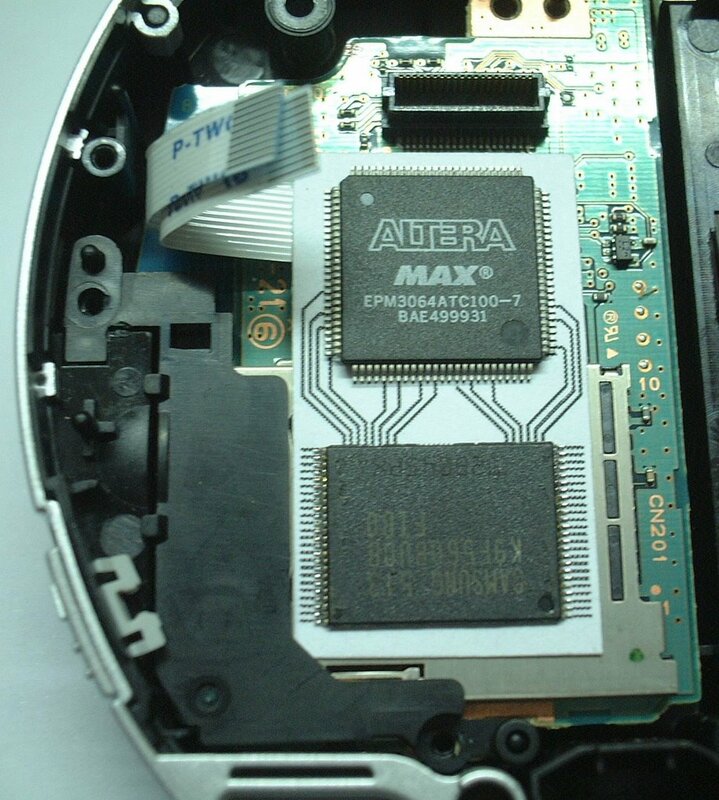 This is a "PSP Multi Firmware module"
What's the difference of "PSP Multi Firmware module" and "mod chip" ? 2. MODCHIP includes the meaning which the use pirates, I not to encourage the use to pirate! ! and In some region MODCHIP is illegal !! can "PSP Multi Firmware module" use on my PSP ? What FW support after installed "PSP Multi Firmware module" ? when you installed "PSP Multi Firmware module"
"PSP Multi Firmware module" can install on What HardWare ? 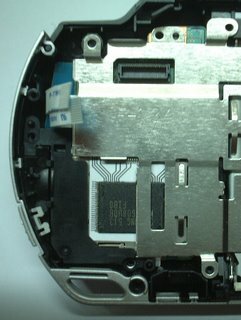 can I reprogram firmware to already bricked PSP ? yes, but you need to program this module's NAND Flash first By "PC EPP LPT Interface Adaptor" or "another psp". Can i program the NAND Flash externally ? Are you going to sell this? i will look for a factory to production this "PSP Multi Firmware module"
When do you start mass production? thats pretty bad, it has to be on the outside ? What does "480 Mbps High Speed USB 2.0(PSP built-in)" mean ? What does "EASY to Install !!" mean ? i say EASY to Install !! because i found a Method to solderwires onto the tiny traces!! would it be able to run those "costum firmware" ? Yes, when you can crack PSP Bootstrap !! Can you post more information, perhaps even a how-to if someone wanted to build our own? as i'm still waiting for an UP they don't come thruw. so i could unbrick mine bricked.